July is Mandela Month and, as South Africans reflect on the great statesman’s life and achievements in the month of his birth and centenary, this is a good time to trace some of his steps on a City Sightseeing red bus excursion. Start your journey at stop 1, by hopping on the Green Tour at the ticket office at The Zone @ Rosebank. After a leisurely trip through the verdant northern suburbs, switch to the Johannesburg City Tour at Constitution Hill in Braamfontein (stop 5). You can later hop on the add-on tour to Soweto at Gold Reef City Casino Hotel (stop 13). Constitution Hill in Braamfontein will be one of the most significant sites to visit on your tour. It houses South Africa’s Constitutional Court and the historic prison precinct comprising of the Old Fort, the Women’s Jail and Number Four, now museums.Nelson Mandela spent time in jail here during the struggle for liberation, along with many other famous freedom fighters, including Winnie Madikizela-Mandela, Joe Slovo, Albertina Sisulu and Fatima Meer. 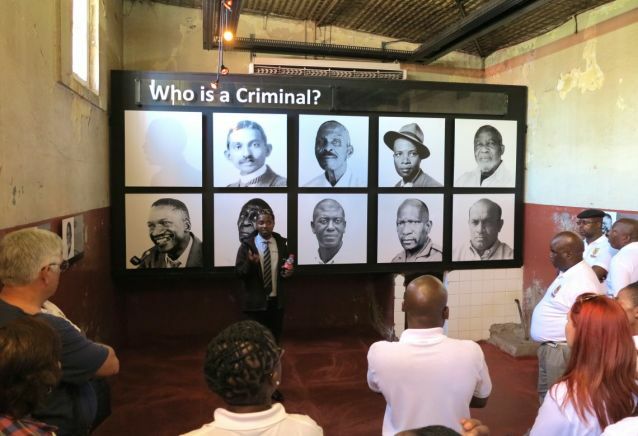 Constitution Hill’s history dates back to 1893 when the Old Fort was first opened as a jail for white men. The other sections were added later. The Constitutional Court was inaugurated here in March 2004 (after being housed elsewhere since 1995). The second historic stop on your tour is the mining precinct in the city’s central business district (stop 10), a key part of the country’s history and Nelson Mandela’s journey. The area is home to the offices of some of the world’s largest mining companies. You’ll also find Chancellor House, where Nelson Mandela and Oliver Tambo launched the country’s first black law practice in the 1950s, on the corner of Gerard Sekoto and Fox streets. There are panels with historic information in the windows of the old law firm and directly opposite the building you’ll see Shadow Boxing, a sculpture of Mandela as a young boxer by Marco Cianfanelli. Just a few minutes from the CBD the red bus will stop at Gold Reef City Casino Hotel from where you can join the add-on tour to Soweto, which will take you to Vilakazi Street, where Mandela once lived. 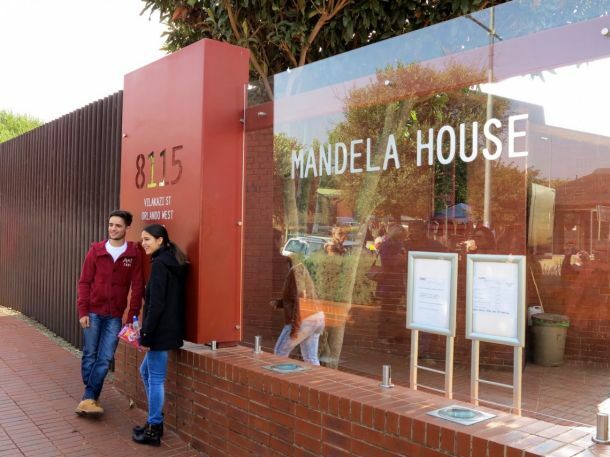 His home has since been turned into the Mandela House museum. This bustling street has a number of restaurants where you can try typical African cuisine and local beer or buy locally made crafts. The Apartheid Museum (stop 14) depicts South Africa’s painful past under apartheid and the transition to democracy. Visitors are taken on an educational journey though multimedia exhibitions, video footage, pictures and artefacts. For something different to end off the day visit the SAB World of Beer (stop 15) in Newtown for a tour and a taste of locally brewed beer. This award-winning tourist attraction was officially opened by Mandela in 1995. Buy your red bus tickets online and save.